Here at the Podwits, we try our best to bring our interests to you, the reader (and listener), while trying to then attach our spin on the subject, and perhaps shed light on something our audience might not have been aware of. Today’s subject is a profile on a man who, unless you’ve lived under a rock or your only exposure to pop-culture history is through references in your favorite rap songs, has been known as “The Great One”. 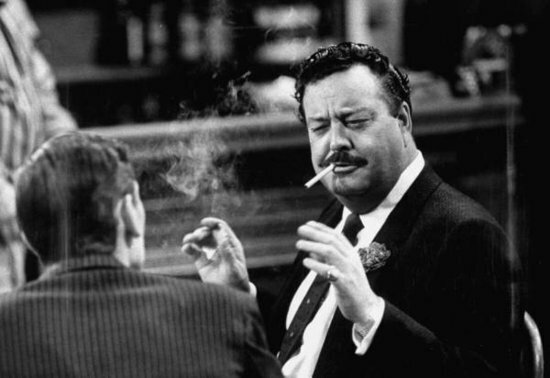 No, I’m not talking about Wayne Gretzky or Mark Levin, but in fact I’m speaking about the original “Great One”: none other than Jackie Gleason. Hopefully you come to this post with a general knowledge of the man, because to call him a legend would be an understatement. If you are not aware of his influence in your life, well, I suggest you just stop reading here and as Calvin Broadus proudly proclaims, “You better go ask somebody,” for without Gleason, the world probably wouldn’t have the template for the modern sitcom as we know it (of course Lucille Ball is added in that equation too, but I’m going for “dramatic effect” here). But I am not here to speak about what is already widely known. 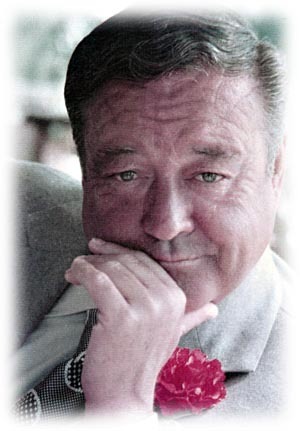 Yes, he gave us Ralph Kramden in probably the best sitcom of all time, The Honeymooners, other such characters as Minnesota Fats in The Hustler, and probably one of the greatest comedic characters of all time, Sheriff Buford T. Justice in the Smokey and the Bandit trilogy (not to mention scores of others on his variety shows). But that all should be common knowledge. I’m here to discuss his second, lesser known career, which was in the field of music. Ridiculous you say? Was any of it any good you ask? Well history doesn’t lie. 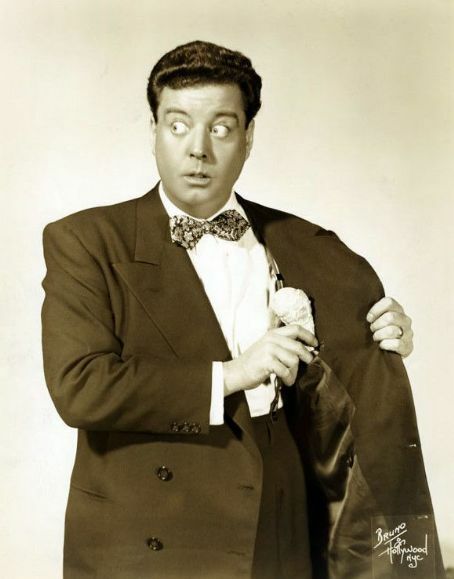 Gleason got his start doing stand up in the 1930s, and worked practically every career within entertainment in those early days before breaking into Hollywood in the early 1940s, where he played background “comic relief” characters, and colorful “hams”. 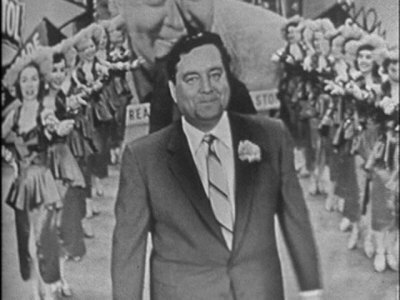 He rose to fame in the late ’40s by getting into television, in series like The Life of Riley and Cavalcade of Stars, which catapulted him to fame. By the early ’50s, he was the bee’s knees. But all through Gleason’s life, music fascinated him, jazz in particular. He loved it but couldn’t play or write a note. That didn’t stop him from having ideas. He had such fun doing this, Gleason had an idea of expanding them into an entire album. 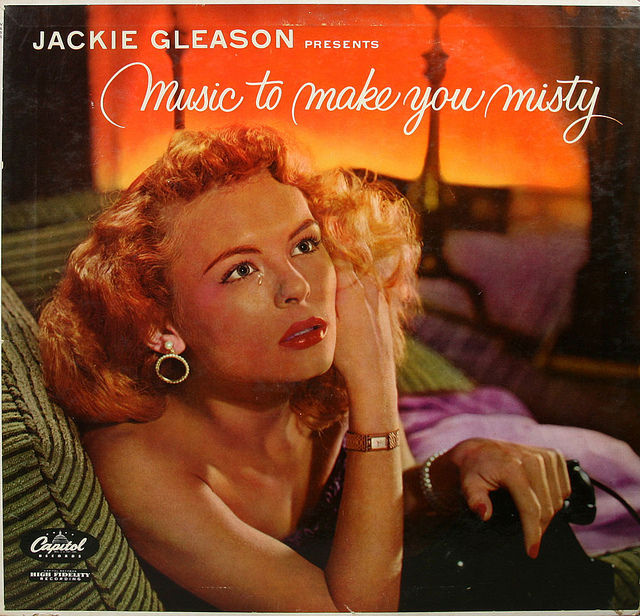 His idea for this was quite funny: Gleason recalled watching love scenes in Errol Flynn films, where this very passionate “love” music would set the mood, and he watched as the romance was “magnified a thousand percent” by this background music. So he figured, if Flynn needed it, a guy from Brooklyn must be desperate! So he found trumpet legend Bobby Hatchett, an old friend he’d met years earlier when they were both extras playing members of Glenn Miller’s big band in the film Orchestra Wives in 1942. Even back then Gleason had had big ideas, and he told Hatchett in between takes how much he admired his playing, and hoped one day they’d work together. Well, that “one day” had arrived. Gleason wanted to put an orchestra together with Hatchett’s horn, and a hundred violinists (which ultimately was brought down to 27), to record lush, beautifully haunting arrangements of standards and originals to act as “mood music”, or ambient music that could be played in the background to relax, eat a dinner, or perhaps seduce a lover, music that would be musical wallpaper which could be “conducive”, but not “intrusive”. One must remember that at this time, within the world of jazz music, the big band sound was out and small tight be-bop groups were in (or, worse, dare I say the two naughty words “rock and roll”). So scores of very talented, now-famous session musicians were hanging around New York, unemployed. Gleason just grabbed the best. But one problem developed: trying to sell the idea. As popular as he was at the time, Gleason could not find a record label that would invest in his idea. 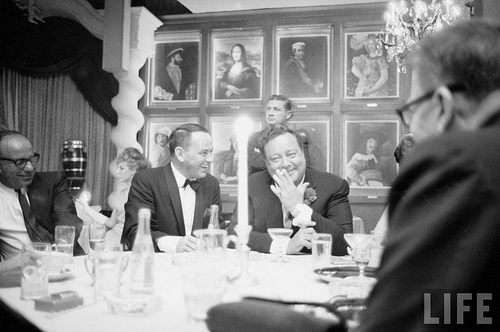 So he rented out a Decca studio and footed the expense himself. What came out of those sessions was the classic Music For Lovers Only. But even after the music was recorded, still no one wanted it. 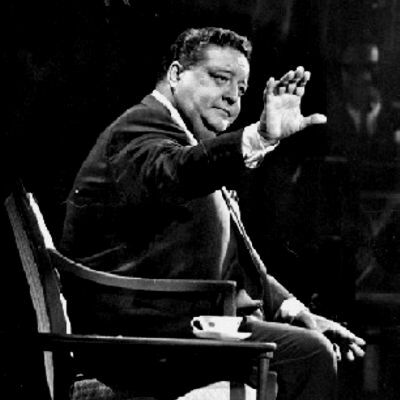 Decca, where he recorded the LP, couldn’t be bothered, but eventually Capital Records agreed to put it out, giving him a $1000 advance in return for the guarantee of some free publicity on his hit variety show. 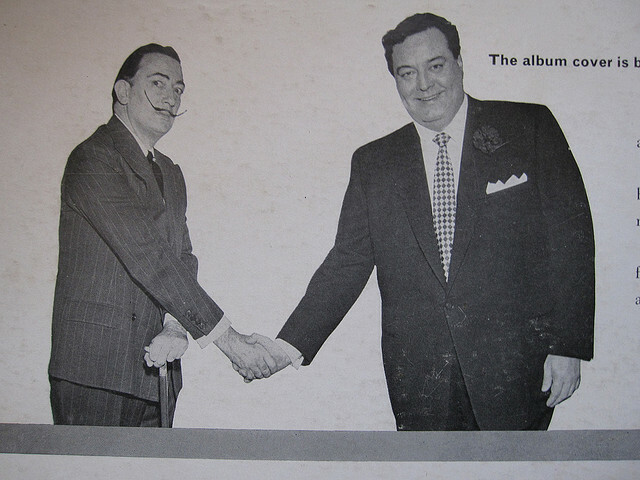 His “debut album” was released in 1953 and sold like wildfire, with a half a million being bought right from the get-go. 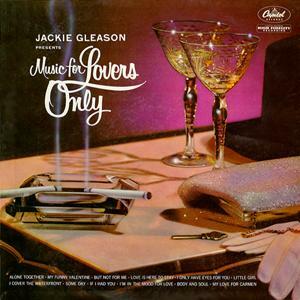 Music For Lovers Only would end up—you ready for this?—setting the record for an album’s stay in the Billboard Top Ten Charts (at 153 weeks, or almost 3 years! ), a record which it still holds to this day! Not only that, but his first ten albums each sold over a million copies. After his first album was an insane hit, offers from every record company under the sun came in, some much more lucrative than his initial deal with Capitol. But the stand-up guy Gleason was, he remained loyal to the company that was there with him from the start. He went on to record over 42 of these records, all of which were hugely popular at the time. It is amazing how popular, but more importantly, how good these albums were and still are. They hold up surprisingly well and his haunting arrangements fill the air with a vibrant, full sound, always taking it’s time, led by Hatchett’s relaxed trumpet leads. This “mood music” is perfect for any occasion, be it dining, reading, relaxing, or, as it was intended, serenading a lover. 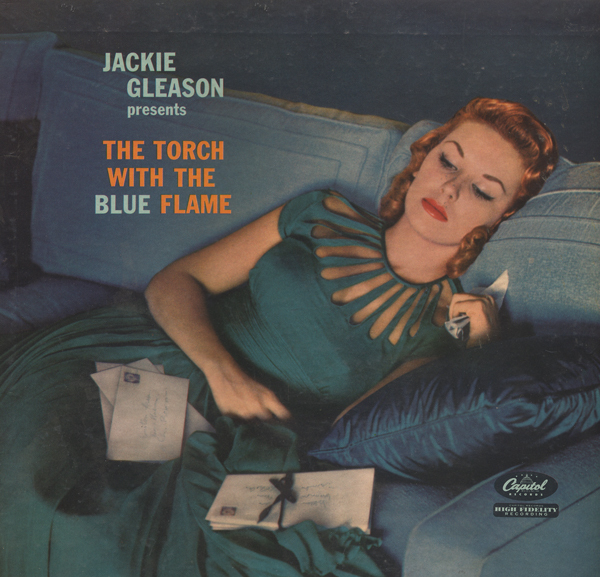 At the end of the day though, what possibly could have been Gleason’s contribution to these LPs? Well he came up with the concept, conveyed the sounds inside his head, picked the songs, and with help, arranged the tunes as he wanted them to sound. 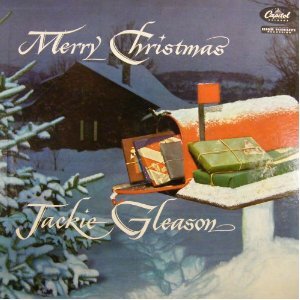 Moreover, the original songs he conceived, Gleason would hum or sing out to a composer, who then transcribed it. He also worked intensely with art directors to conceive the album artwork. 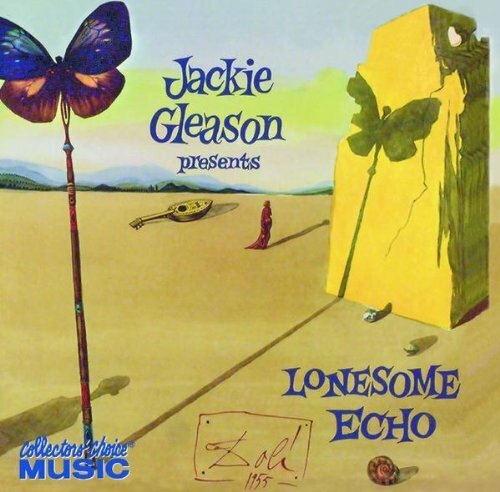 One of his biggest releases, Lonesome Echo from 1955, features an original Salvador Dali painting on the cover. But aside from that one-off, his cover art was always extremely atmospheric, usually focusing on glassy-eyed, gorgeous women who are usually planted on bar stools or in dimly lit living rooms, weighted down by cigarettes and glasses of booze, lamenting silently about brighter times or lost loves, in what looks like the wee small hours of the morning. 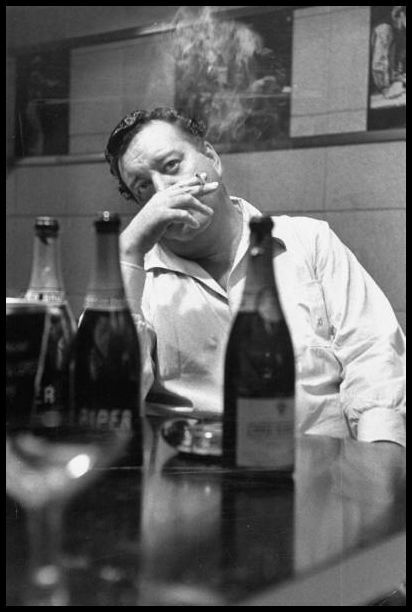 The tone and feeling ran deep within Gleason, who suffered from the over-indulgence in alcohol and the demons that late nights can bring (an interesting parallel is Frank Sinatra at this point in history. 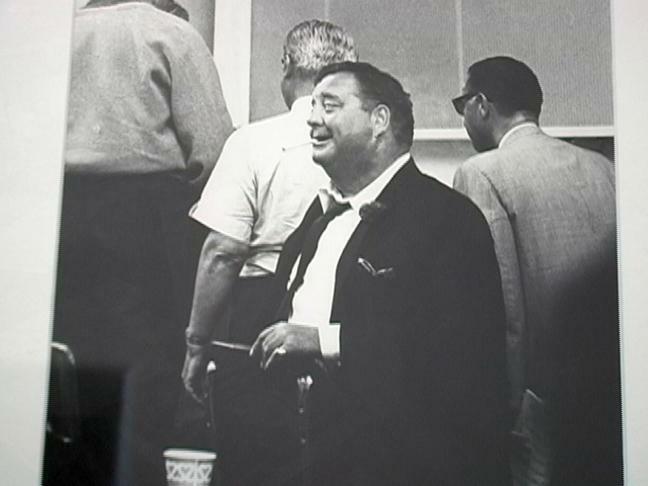 It is common knowledge that Jackie Gleason was the one who got “Ol’ Blue Eyes” into the “one-take” habit when shooting a motion picture, but it is also rumored that it was Gleason who introduced the young Sinatra to the singer’s future life-long friend, Jack Daniels). Gleason basically defined a genre. That’s why they call him “The Great One”. It’s something we hear nowadays when we get into an elevator or walk into a department store, commonly called “musak”. But please don’t mistake the two. 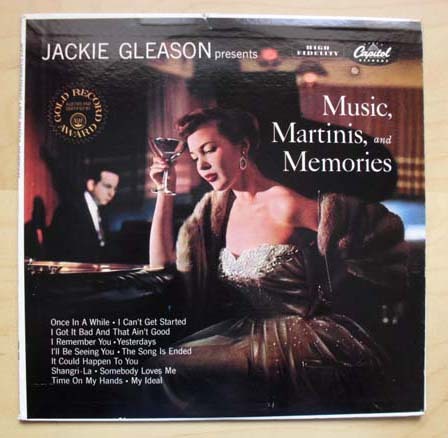 Gleason’s albums defined an era and became a standard, creating something which has been copied, reproduced, over-marketed, watered-down, and mass-produced so far that now we can no longer recognize the art in the generic, artificial shell that his genre has now become. The sad thing here is that the world has basically forgotten this. 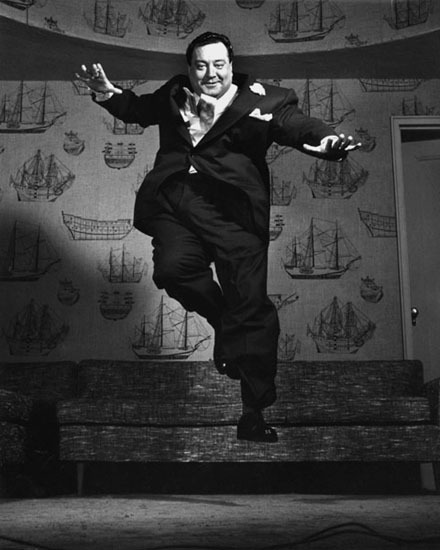 Yeah, we know the legendary Jackie Gleason, but only for his comedy. Not for his personality, or for his other interests, such as music. So I urge you to go grab one of these classics, and the next time you’re looking for some ambient music when hanging around, throw this on the turntable or in the player, and discover an entire genre you’ve been missing out on.